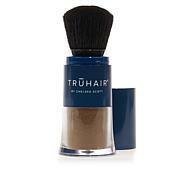 Cover up gray roots quickly and easily with this temporary, powdered hair color. 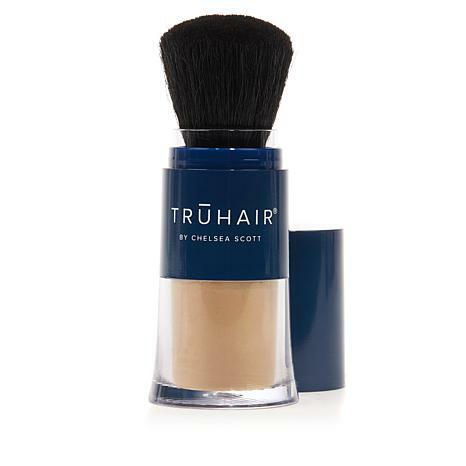 The innovative brush applicator lets you refresh the look of your hair in a matter of minutes, and the thickening fibers helps conceal thinning spots, too. 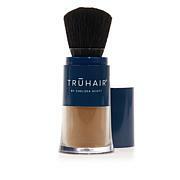 Toss the compact applicator in your purse or tote for touch-ups anytime — just dab and go! 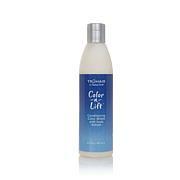 Any color that accidentally gets onto clothing will wash out with regular laundry detergent. Ingredients: Aluminum Starch Octenylsuccinate, Mica, Nylon-12, Dimethicone, Methylparaben, Propylparaben, Tocopheryl Acetate (Vitamin E), CI 77891, CI77499, CI77492, CI77491. Works like it is says. I've purchased this before, so I knew it would work for me. My hair is growing out from chemo, and I have some uneven spots. This works great. I maybe should have gotten the medium brown since this seems to be a little more red than I remembered. 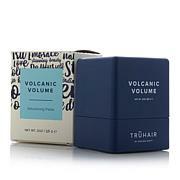 This TruHair color & lift thickening fibers works wonders when you have a widening part and thinning hair. It really covers all of that without it beingnoticeable. Don't write reviews offen...this stuff is amazing!! Easy application...lasts for days...goes on & stays on...no bleeding...aborbs excess oils between shampoos...the red color match is exact, even around my hairline with my hair pulled back...love it!! My hair splits in the back and my white roots make me look bald. Ive had to color earlier than I should if I had somewhere ongoing. For the first time in so long I can conceal this problem and you cant see it. Thanks.